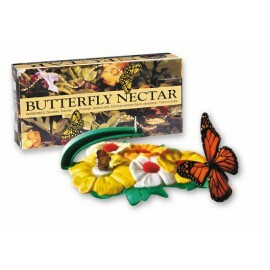 This bright little flower has two uses: Caterpillar Cup Holder and Butterfly Feeding Station! 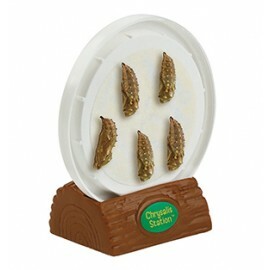 When you receive your caterpillars, remove the red sponge from the feeder and you've got a decorative cup holder. 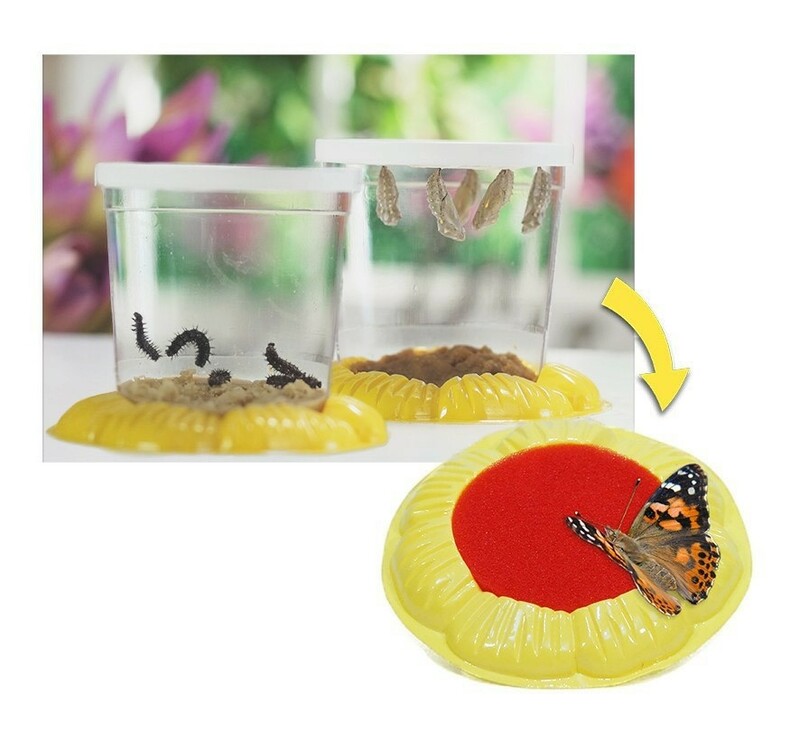 Once your caterpillars have outgrown their cozy cup, replace the sponge insert. When your butterflies emerge, squeeze a few drops of nectar on the sponge and place it in your butterfly habitat. Now sit back and watch your butterflies sip! Remember to replenish the feeder with nectar daily.